London headquarters of The Modern House, the design sector’s preferred estate agency, renowned for selling Britain’s best design-led living spaces. 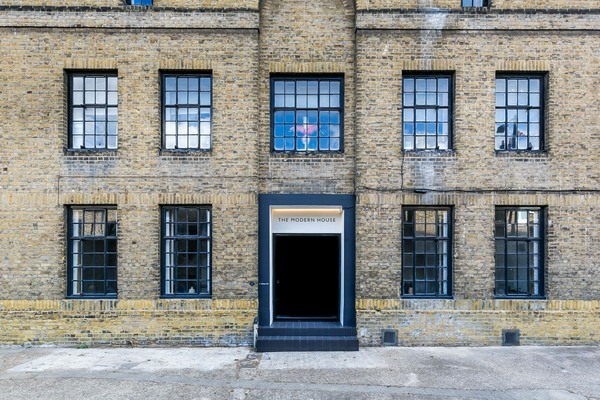 TDO architecture renovated the London headquarters of The Modern House, the design sector’s preferred estate agency, renowned for selling Britain’s best design-led living spaces. The 2,500 sq ft office facilitates the growth of The Modern House staff to a team of more than 20, and functions as a flexible events space for the company's expanding cultural programme. 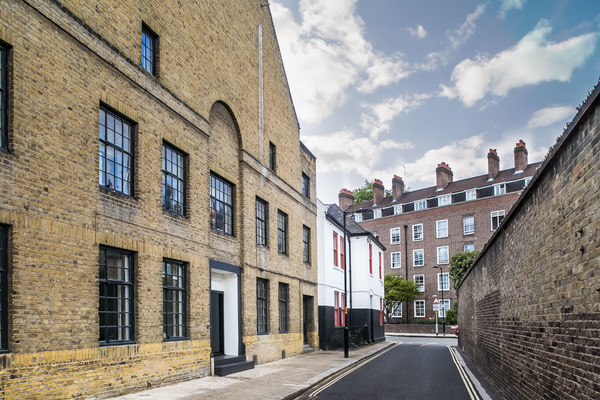 The new workspace occupies the ground floor of a former church hall, St Alphege Hall, in Southwark, central London. The mid-rise brick building dates from 1931. It was built as a church hall for the congregation of St Alphege on Lancaster Street. The church has since been demolished, leading to the gradual decline of the church hall. TDO’s low-cost, light-touch renovation gives the building a new lease of life with simple contemporary insertions into the original building fabric. Asserting the values of The Modern House – whose portfolio of properties celebrates the principles of Modernism – the renovation prioritises flowing space, high levels of natural light and truth to materials. 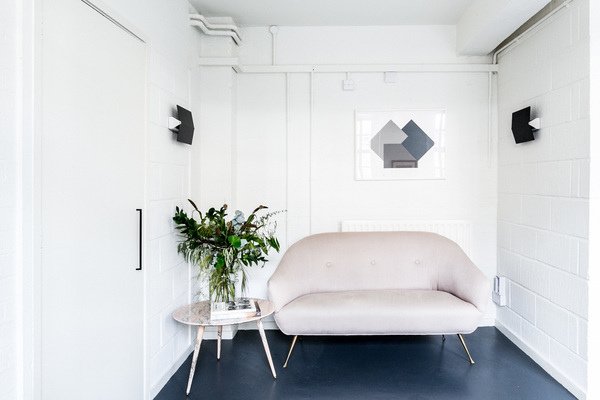 The scheme employs a monochromatic palette, reflecting The Modern House branding, with the retained fabric, doorways and frames treated in an off-white finish and accented by new fixtures, fittings, loose furniture and ironmongery in off-black, against the upgraded original parquet floors. At the entrance, a new supersized gloss black front door and black tiled steps mark the point of arrival. The effect is a celebration of the original fabric and character of the 1930s building, whilst also making legible The Modern House’s occupation of the space. At the centre of the scheme – in the main open-plan studio – is a bespoke demountable desk structure, which can be adjusted in a sequence of simple moves to completely change the interior, functioning differently in both its extended and stored modes. The desks fold away and can be hung at the perimeter of the space, to mimic grand salon-style paneling. 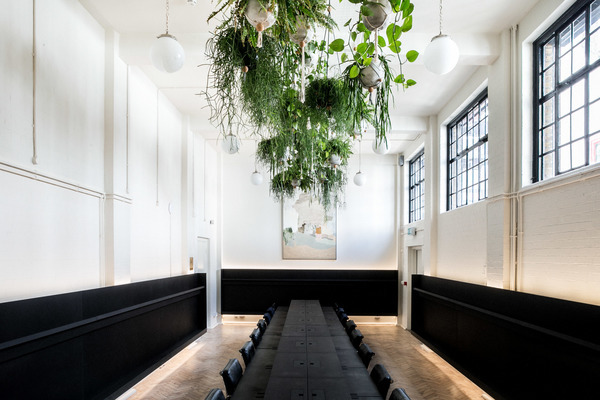 A metal grid has been fixed to the concrete beams, from which a group of potted plants are suspended – designed by Urban Flower Company, these help to dampen the acoustics and soften the space visually. The desk templates were developed through 3D modelling, and fabricated in Valchromat (engineered colour wood) off-site by Tom Graham Workshop. They demonstrate the practice’s interest in designing out waste by maximising simple standard sheets or components. The desks set the design language for all bespoke fittings throughout the fit-out. 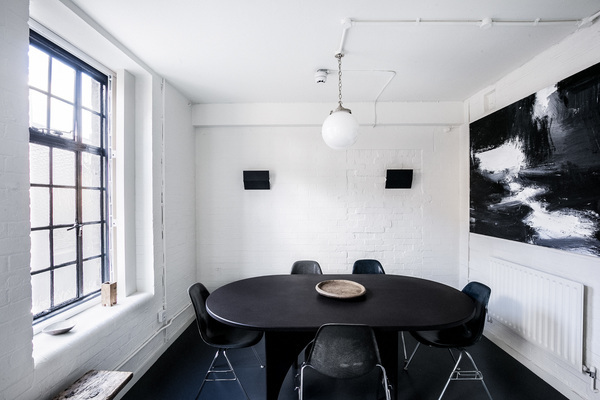 Other key pieces include a meeting table designed by Max Lamb, and a dining table designed by Faye Toogood, which are also fabricated from Valchromat. 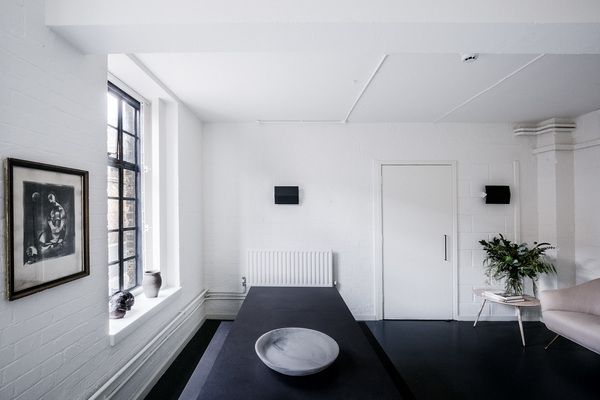 The space also contains a number of original artworks by former clients of The Modern House, including John Virtue, Darren Almond and Michael Craig Martin.